Many who work or live nearby have long since discovered and come to love this interesting café, owned and run by friends Michelle and Carolina. 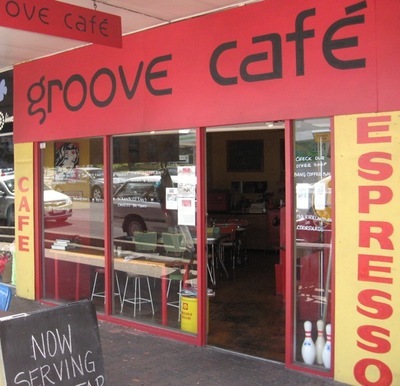 For those not yet in the know, Groove Café on Ipswich Road's shopping strip at Annerley is well worth a visit to sit down to a delicious meal from the simple yet intriguing all-day breakfast menu, or to grab a cup of coffee and a piece of homemade cake. [ADVERT]Carolina is originally from Columbia and brings her own unique sense of décor, style and friendly service as well as her knowledge of coffee to the business. 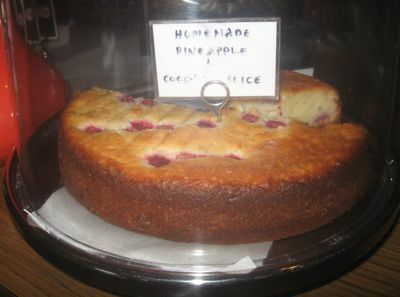 Michelle works in the kitchen, baking the cakes that are sold by the slice, and preparing and dishing up the meals herself. 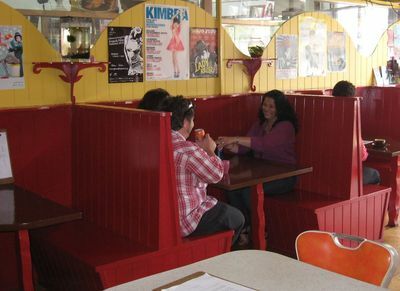 The place has a low-key and quirky feel to it, chilled yet friendly. You just know that everyone is welcome, and the business is not just aimed at some upwardly mobile cashed-up set. I can't quite place it, but there's something reminiscent of South America here. 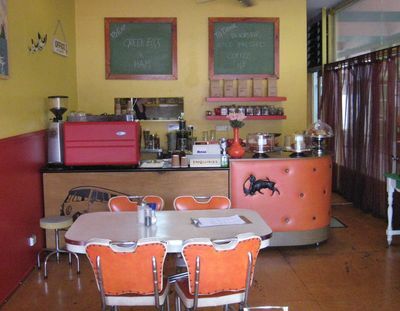 Perhaps it's the bold blocks of yellow and red on the inside and outside, or the simple retro feel with overhead fans swirling on the ceiling that reminds me a little of The Motorcycle Diaries or something. Or maybe it's the black matador and bull on the padded front counter? There are board games on offer or the daily newspapers, and it's fine to come here on your own, sit in one of the comfy booths, eat and drink and browse the day's news. I have, on occasion, done just that. All the meals I've eaten here have been tasty and wholesome, easily identified as cooked fresh for each order. My personal favourite is the slow-cooked beans on thick toast topped by a poached egg. 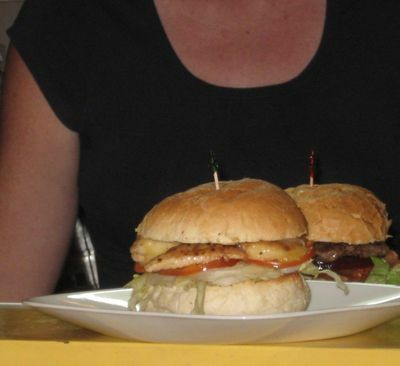 Carolina once confided to me that some regulars are addicted to this meal, and I know why. It's hard to get past. I've also tried the sweetcorn fritters – absolutely just like Mum used to make – and the odd burger which I can only describe as "fresh as". The meals all come in under $10 and at $3.50 a cup, the coffee is still relatively cheap. Recently they've changed coffee brands to local roasters of organic and fair trade coffee, BlackStar. After trying one the other day, I approve!